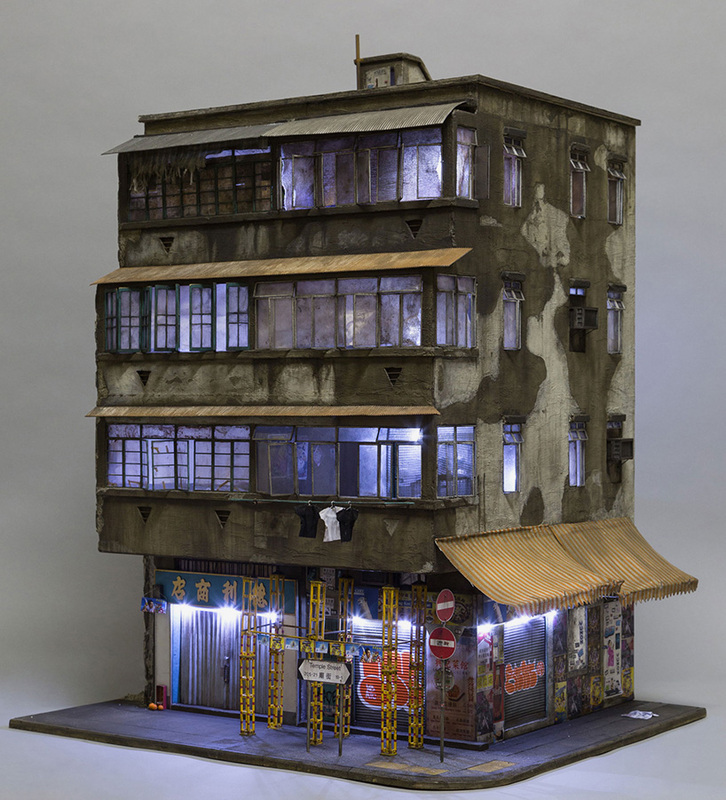 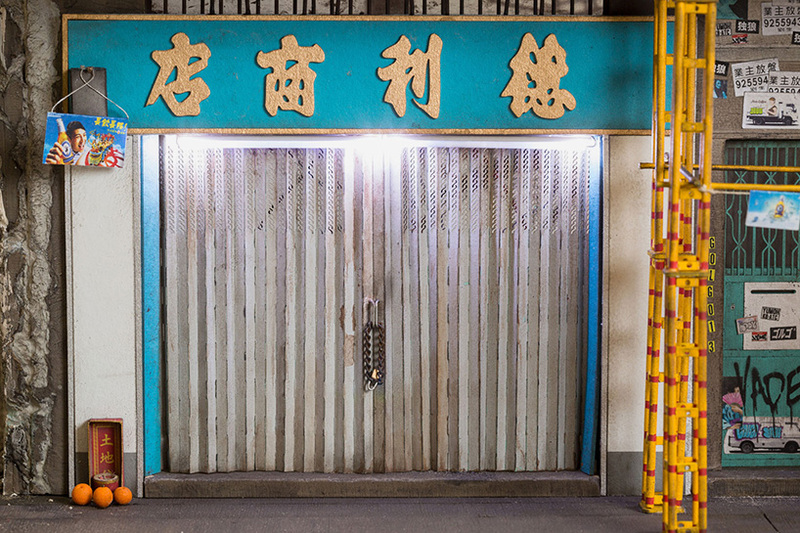 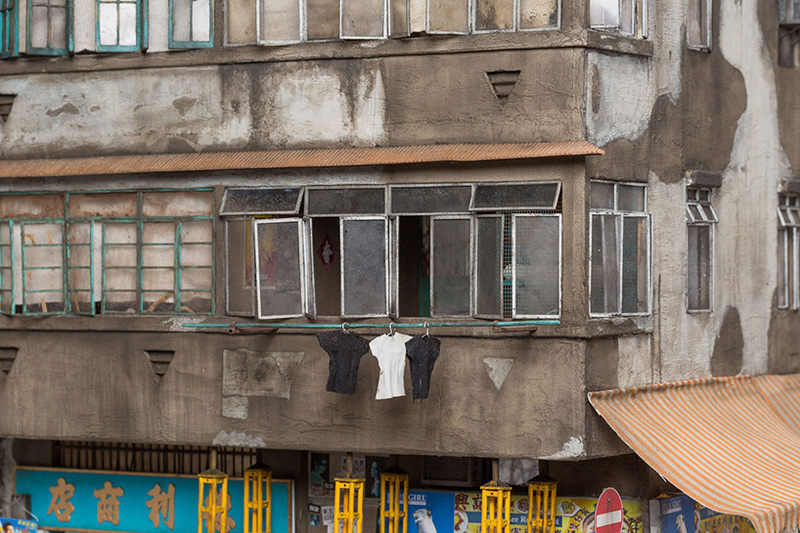 australia-based miniaturist, joshua smith, has completed a project based on 23 temple street, kowloon, hong kong. 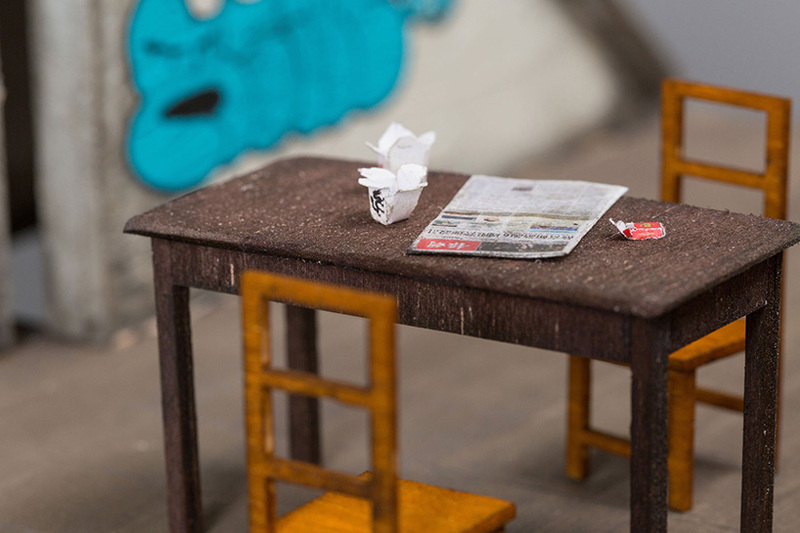 the project is built from scratch, using wood, cardboard, plastic card, chalk pastels, spraypaint, wire, and plastruct. 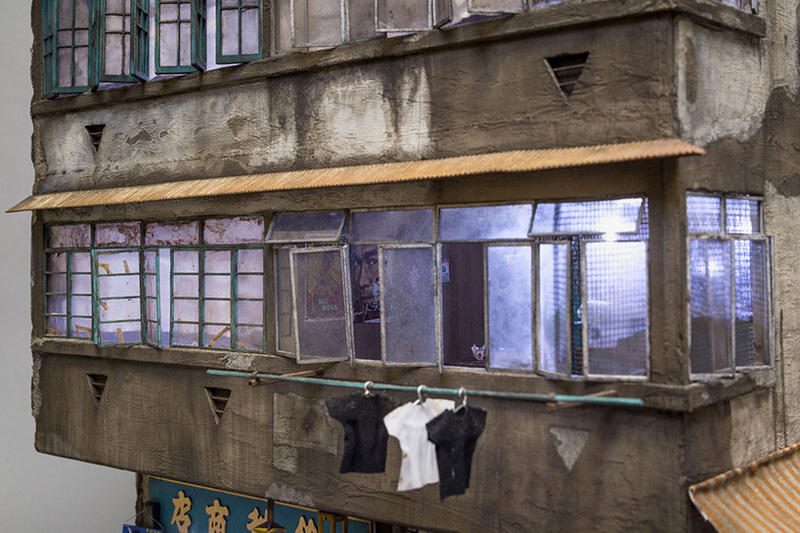 the 1:20 scale miniature was designed for VOLTA art fair which took place in march of 2017.
kowloon is the most populous urban area in hong kong, making it a prime subject for smith‘s work. 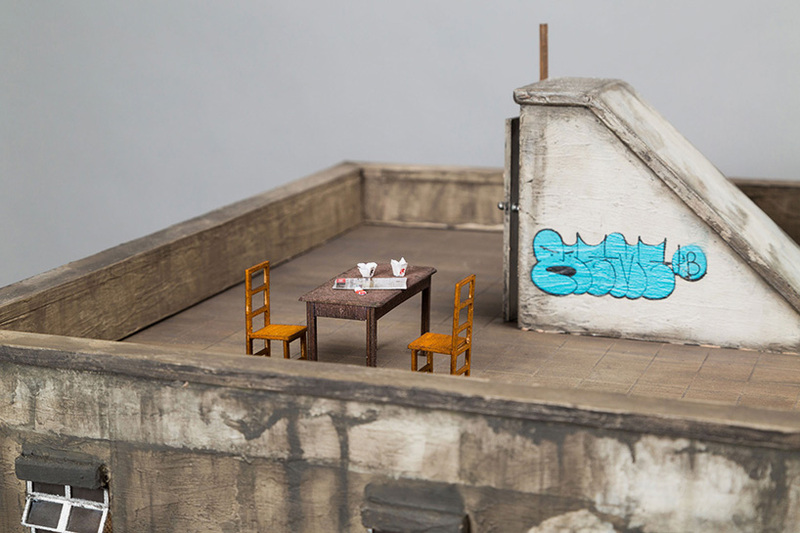 his miniature works primarily focus on the often overlooked aspects of the urban environment such as grime, rust, and decay or discarded cigarettes and graffiti. 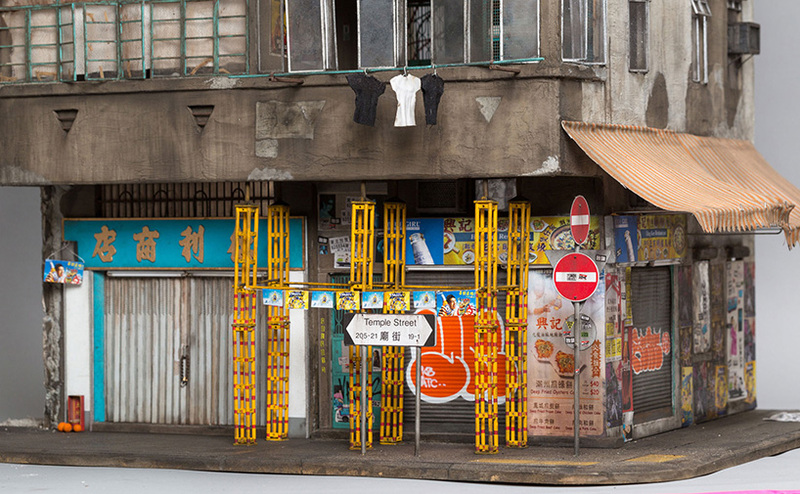 through careful observation, smith recreates detailed replicas that mimic real life. 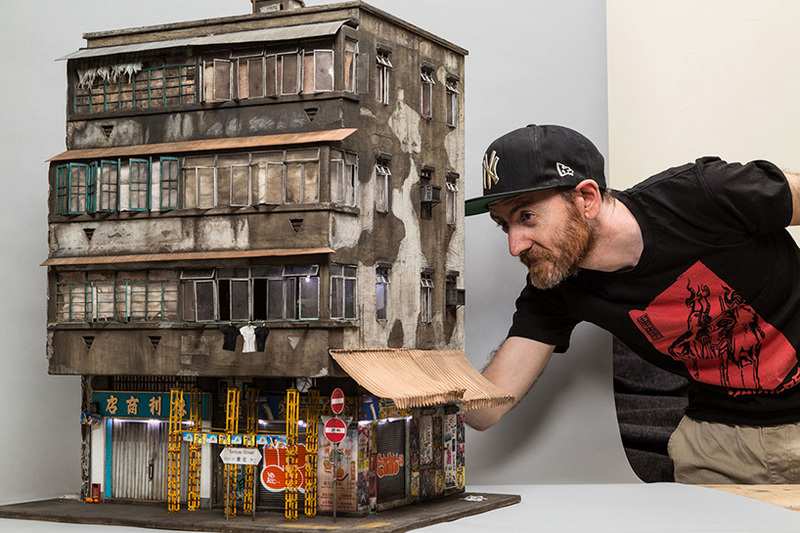 with a career spanning 17 years, smith has showcased his work in london, paris, berlin, new york, japan and all over australia in over 100 exhibitions. 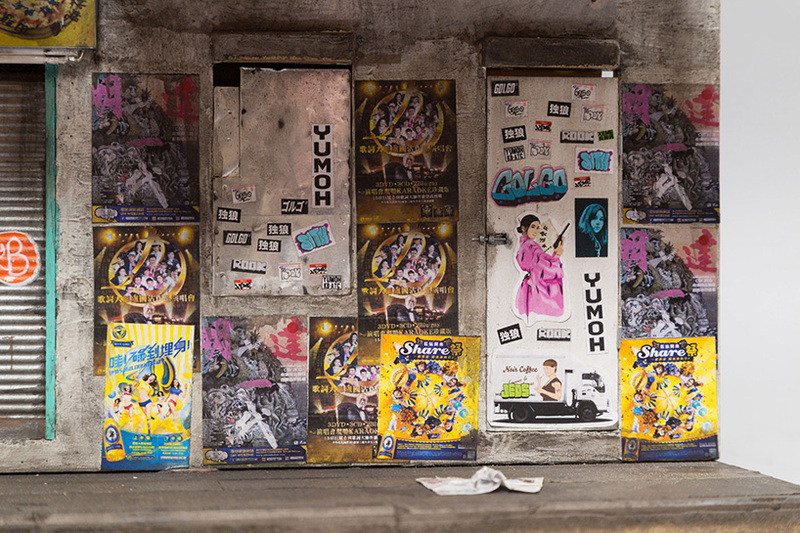 formerly a self taught stencil artist josh refocused his career to establishing espionage gallery, an art gallery based in adelaide, south australia. 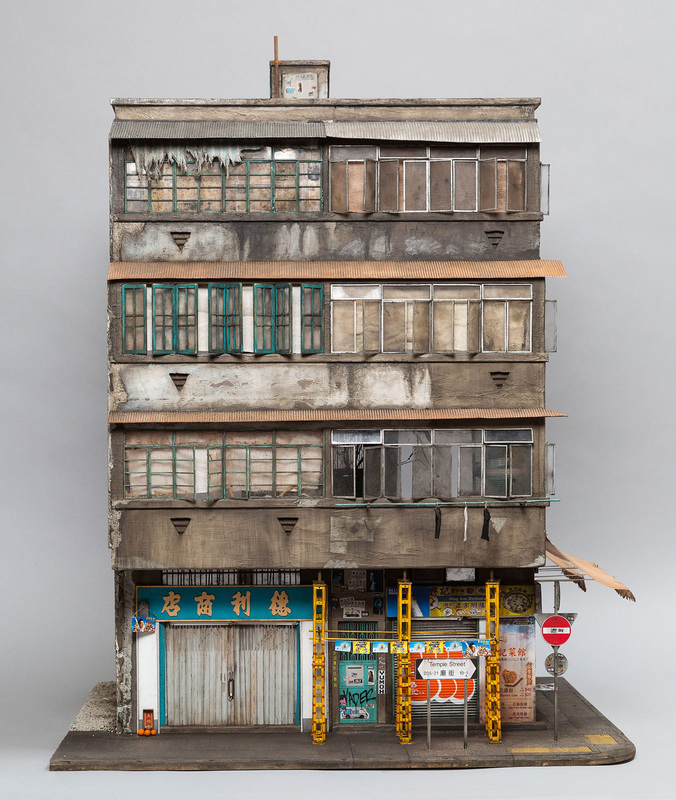 most recently, his work has been shown at muriel guepin gallery in new york and at the VOLTA art fair in new york city. 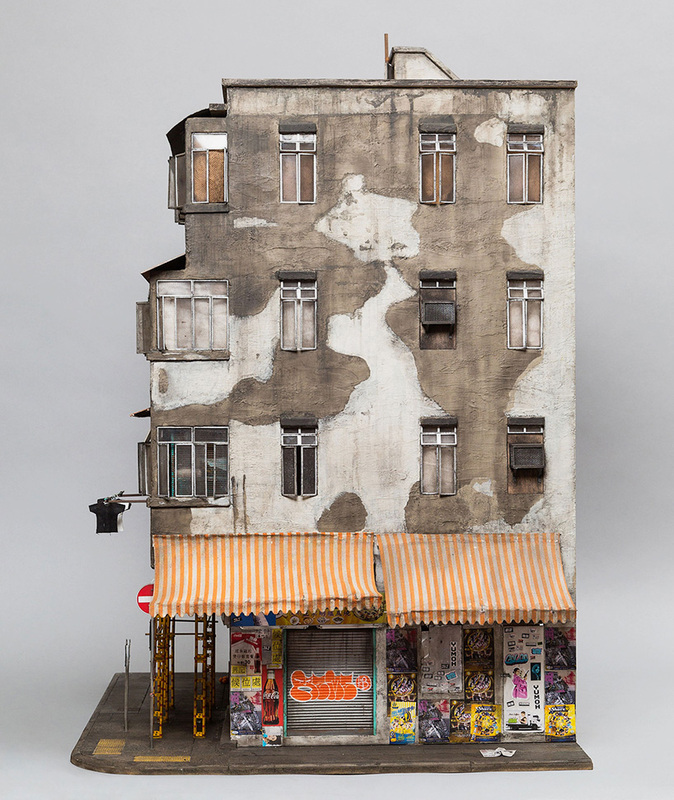 his miniature works primarily focus on the often overlooked aspects of the urban environment such as grime, rust, and decay or discarded cigarettes and graffiti.